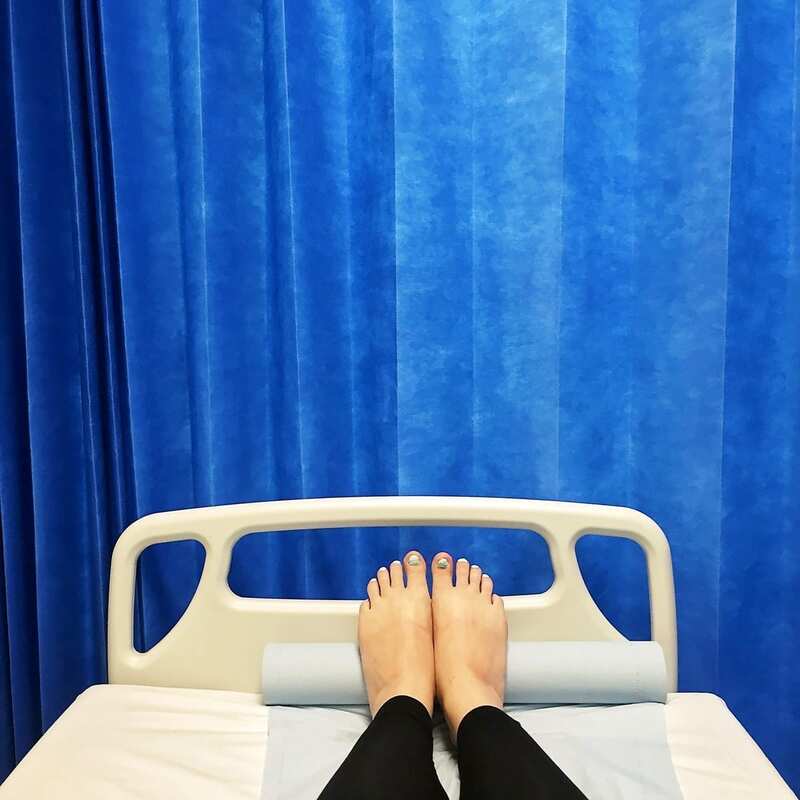 After being diagnosed with Obstetric Cholestatis, my induction had been started off at 37 weeks, and we were waiting for a room on labour ward to become available so my waters could be broken. Read the previous part of the my birth story here. The first gel made me immediately crampy and uncomfortable. Sam and I went for lunch and a good walk around a local park. But by the time we returned for my next round of monitoring, the cramps had gone and I was feeling disappointingly normal again. I ended up having the maximum three doses of the gel pessary. By the time Sam went home on Sunday night, I was having what I would call early labour pains. Uncomfortable tightenings happening every 5-10 minutes, but only really strong enough to notice if I concentrated on it. If I lay down and rested, I couldn’t feel anything, so I spent half of that night walking around, willing the pains to turn into something stronger and more regular. In the end, I had to give up and rest. I knew tomorrow might be a long day. Staying on the antenatal ward is a slog in itself. In between the labouring women and the regular obs and CTG monitoring, you never get more than four hours sleep at a time. After four nights of this, I was feeling increasingly less prepared for what I imagined would most likely be a long, hard, labour. At 37 weeks pregnant, with previous pregnancies both going to 40 weeks, I felt we were asking my body to do something it just wasn’t ready for. Despite every midwife telling me “You’ll be in labour in a few hours!” I was skeptical that the pessaries and gels would work, and was fully prepared to have to go through every intervention possible to kick off labour – waters broken, hormone drip, failure to progress and an eventual but seemingly inevitable c-section. In my mind, this labour was not going to go any other way. I was DONE holding out for positivity. After four days, it was too hard to be lighthearted and hopeful any more. The same midwives would come back at the end of their shift. “Still no tightenings at all? REALLY? !” Their surprise made it worse. Sam attempted to lighten the mood suggesting a midwife sweepstake – whichever midwife is on shift when I go into labour wins. But on the inside I was seriously stewing every time someone expressed their disbelief that I was still there. My own case-loading midwife from the homebirth team, who had started off my induction with the 24 hour pessary on the Friday, was shocked that I was still there on Monday morning and not in labour. Netflix was banned from the hospital’s server, and the connection was too slow to stream iplayer or YouTube, so there really was not much to do except think. A lot. As it does when you are waiting for an important event, time moved so slowly. I’d try and research my ‘options’, despite not ever really feeling that I had many, only to give up after reading one too many articles about intervention odds increasing – “if your waters are ruptured early, you are X times more likely to end up with a c-section”. All the intervention I’d been so motivated to avoid during my previous labours was now seeming like a forgone conclusion. I couldn’t stop this process. The way the doctors and midwives phrased things, combined with the way things would be announced with no prior warning, made me feel like nothing was my choice. It was “We are going to break your waters next”, not “We are going to break your waters next if that is OK with you?” Consent was never a focus for the medical professionals, it was all very much “Let’s get down to business”. I really think that just a simple change of language when talking to women in this sort of situation could make all the difference in fostering a positive outlook to birth. I tried to tell myself that I did still have some choice remaining. After all, I wouldn’t be there if I thought there was a better approach. Every now and then I’d bark instructions at Sam when things occurred to me. “Make sure they read my birth plan”, “Don’t let them up the drip without telling me or giving me an epidural first”, “Please, please make sure they don’t give me pethidine under any circumstances”. 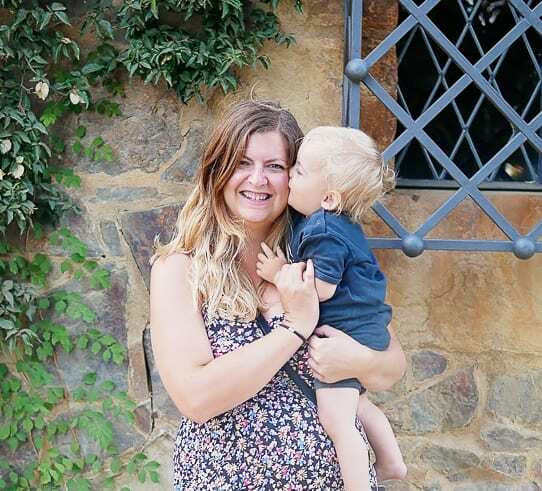 With the way everyone had been treating me during my time on antenatal ward, I was increasingly terrified that I wasn’t going to be heard at all. Monday morning rolled around. Bank holiday Monday. I had been admitted on Thursday and spent the entirety of a bank holiday weekend in hospital but still no baby. The early labour contractions that I had been feeling before I went to sleep had completely stopped. The monitors were registering contractions, but I couldn’t feel anything. I knew I was still a long way off. But finally, FINALLY, I was being told there was room for me on labour ward and my waters were going to be broken THIS MORNING. Sam arrived, and I instructed him on my positive thought bank. During labour, I find I get so lost in myself that I forget to remember why I’m experiencing this pain. I forget the end goal, and sometimes, having someone gently remind me of the right things at the right time, can put me back in control and give me renewed motivation. It gives the pain meaning again and brings me ‘back in the room’. Since Thursday, when I was first diagnosed with Obstetric Cholestasis, I knew I’d have to have continuous monitoring throughout labour. This was one of the scariest aspects of this birth, for me, because I was daunted by doing the later stages of labour without the natural pain relief of a pool, and because I know I am completely useless labouring on my back. In fact, I just CAN’T do it. I need to be standing, or leaning forward. Labouring lying on a bed is just unthinkable. Every midwife I spoke to during my stay on the antenatal ward promised me that I could still have an active labour with the monitor on. I would be attached with wires to the machine, but there was enough length in the wires to enable me to stand or lean over the bed. I also knew that there was ONE room on labour ward with a pool, and ONE wireless, waterproof monitor. Although a long shot, if both of these things were available when the time came, I could get to use the pool during labour. 10am rolled around and we were off to labour ward. The room with the pool, and the wireless monitor were both available. Now, I just had to get my body to go into labour. I look forward to reading the next part of this story.